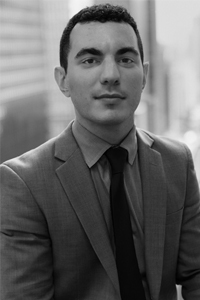 Jamie Lipman has experience in commercial and residential real estate transactions throughout New York City. His practice includes representation of buyers and sellers in the purchase and sale of cooperative apartments, condominiums and single and multi-family homes, as well as representation of institutional lenders in lending transactions. He also has experience representing landlords and tenants in leasing of commercial spaces. Jamie received his J.D. from the Benjamin N. Cardozo School of Law, with a focus on business law. He received his Bachelor’s degree from University of Maryland with concentrations in Political Science and Philosophy. He is a member of the New York State Bar Association and the New Jersey Bar Association. His interests include writing, reading and music.